Needless to say, how quickly eCommerce is growing, and taking over the conventional transactions. Today, a considerable chunk of transactions happening all over the world, happen through eCommerce channels, and therefore, it would not be immature or early to say that eCommerce is here to stay for years, and is going to be the future of worldwide commercial transactions. Although a modern element, eCommerce too has its own, sort of conventional challenges, and which is why it needs RPA to overcome them and amplify the overall eCommerce process and experience. Apart from this, eCommerce involves various back-end operations that the customer, perhaps, has got a blurred idea about, but those operations are certainly beyond his sight. Moreover, customers hold a lot of expectations from eCommerce. They want their transactions to be processed within the blink of an eye. Besides, every regular eCommerce customer in the world looks for ease of payment, coupled up with quick delivery. Remember, each of these expectations has got a process running behind the curtains. Nevertheless, very few, probably as less as 1% of eCommerce consumers across the globe feel that their expectations are met. All the others, either remain dissatisfied and give it up on a particular service provider or engage with another, perhaps, a quicker and better one. It is this need to expedite processes, reduce manual efforts at the backend, and also to reduce the customer’s waiting time over the call that brings RPA in the picture. The concept comes with its own automation challenges though. These are natural challenges, maybe every automation system cannot overcome. Some of the most common eCommerce automation challenges are multiple integrations, dynamic product information, and frequent changes to the configuration. Multiple integrations refer to the various third-party system integrations that work on both the ends of the system. 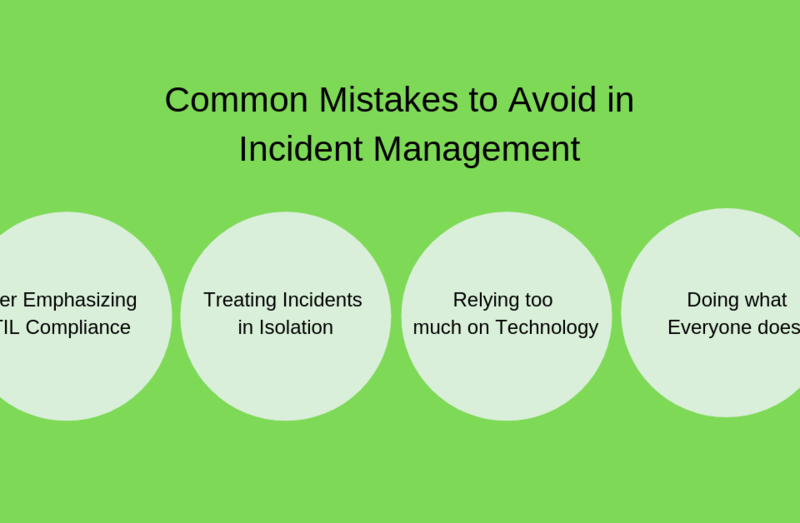 Integrating all these integrations and having them to work in sync with the newly induced automation process could be quite a challenge, which makes automation difficult. Besides, the ever-changing product information poses another challenge, wherein it is imperative that automation system has capabilities to incorporate these changes, and then relay them onto the user-interface. Another challenge is that of configurable behavior. Updates, offers, or changes to a product, policy or any other related thing are easy to showcase in case of physical shopkeepers, however, not in the case of eCommerce. Incorporating these updates and then exhibiting them in the required manner requires a strong and competent automation system that has got the technical capabilities to integrate and showing the updates up in a relatively easy manner. 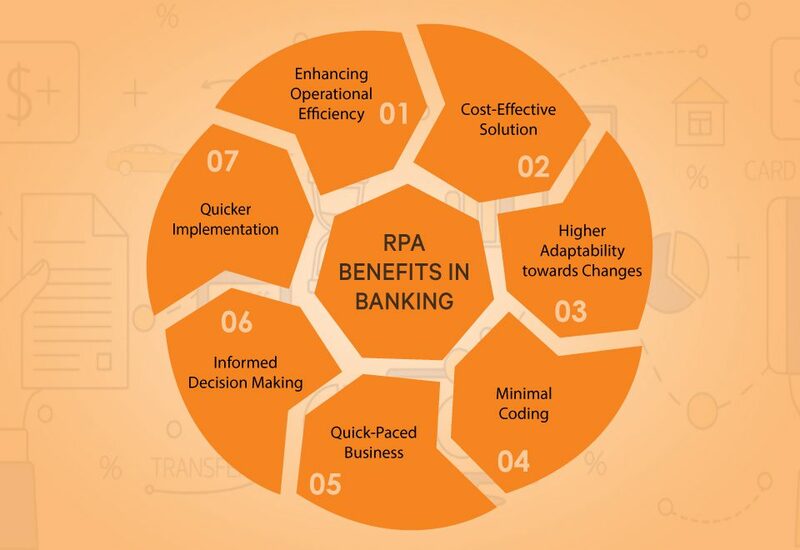 RPA benefits in several ways. It helps with the required momentum to expedite transactions with a reduction in the processing time, thereby contributing to augmented customer service. Also, if incorporated well with the backend verification process, it could accelerate the verification process, thus considerably reducing the per transaction time. Often, customer service agents at eCommerce call centers end up with low productivity levels, and also can’t work up to the expectations of the customer. Of course, it isn’t always their fault. It could be the slow systems in place, or an element or a chain of manual interventions that slows down the process. RPA, however, improves agent productivity, as agents are now left with more calls to handle, and that too in an effective manner. So, in a nutshell, RPA works towards improved productivity, the accuracy of transactions, saving man-hours, and also labour costs, and most importantly, a happy, smiling, and satisfied customer logging out of the system or ending the call. Japan isn’t an exception to the growing eCommerce wave. Some of the prominent cities in this regard are Tokyo, Chiba, Miyagi, Kyoto, and Saitama. 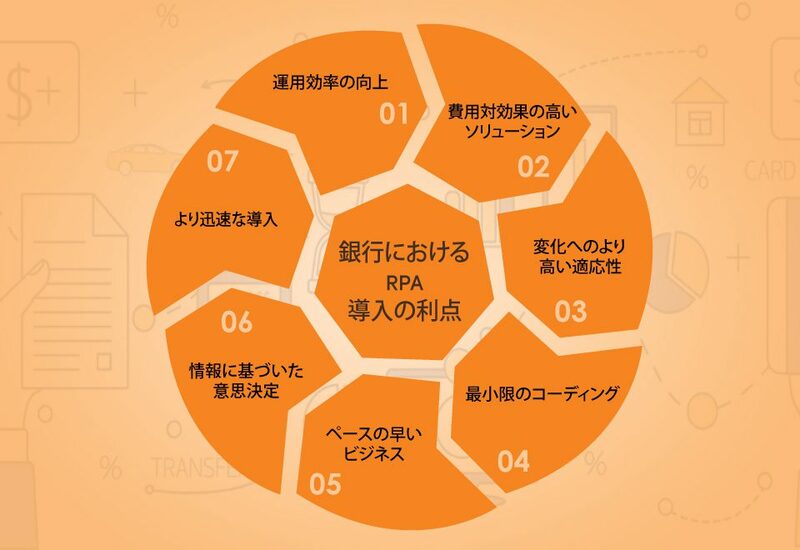 Fidel, the official RPA associate of Automation Anywhere in Japan offers end-to-end eCommerce RPA services in Japan that include RPA sales, RPA designing, RPA implementation, along with RPA technical support. If you are looking for eCommerce RPA solutions for your business in Japan, Fidel works as your trusted RPA partner, ensuring a high RoI on the process automated. 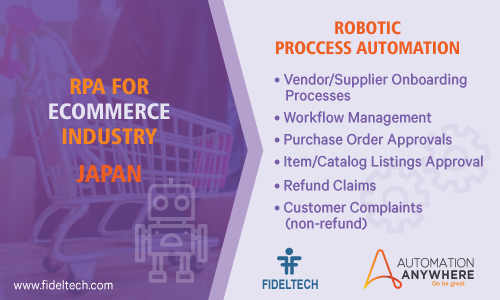 eCommerce industries in Japan can implement RPA for tasks and processes like - Vendor/Supplier Onboarding Processes, Workflow Management, Purchase Order Approvals, Item/Catalog Listings Approval, Refund Claims, Customer Complaints (non-refund). For more information on Fidel - Automation Anywhere RPA services in Japan, get in touch with us. Looking for Automation Solution in eCommerce Industry? Share your details to get the RPA solutions from Automation Anywhere with Fidel in Japan.